Are we looking for drivers or office staff? 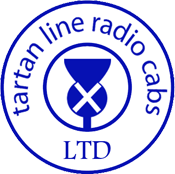 We are looking for a fully licenced taxi driver, with unfettered access to a vehicle, to work primarily from 4pm till midnight. We are also looking for successful entrant to provide cover on a one week in four basis for nightshift (midnight to 8am, 7 days). If you feel you can help with the above vacancy, please contact the office with your details. We also advertise any office staff vacancies in the local Job Centre Plus.